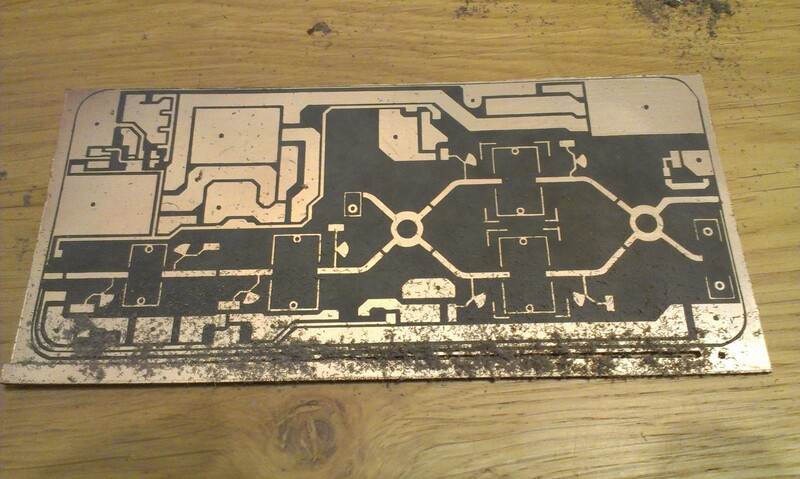 Raw PCB material RO5870-0,5mm-17µCU (180x90mm) with photoresist, was obtained from DC3XY. 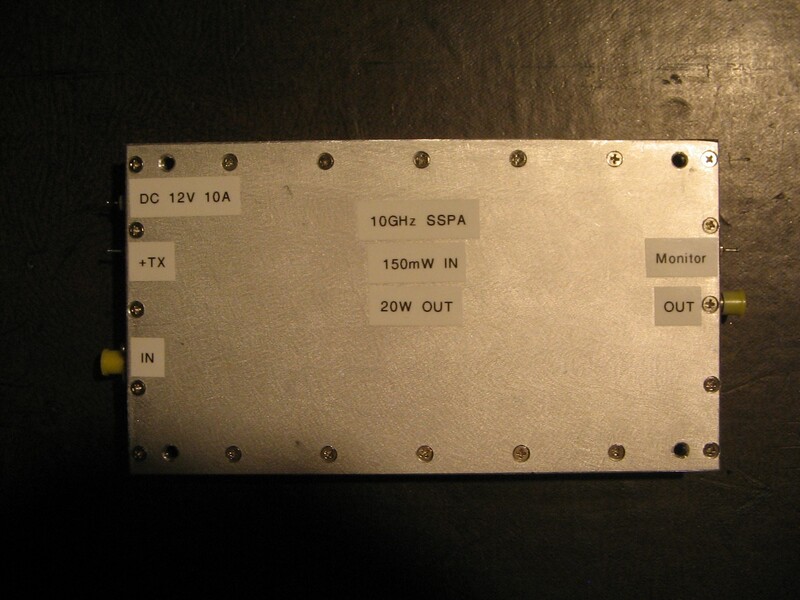 2 different versions of the amplifier will be built, one by Bart PE1PFW and one by me Eddy PE9GHZ. 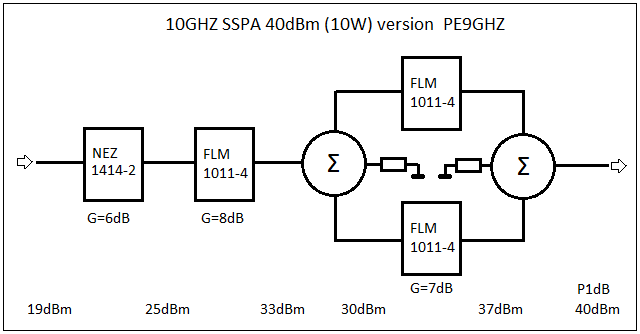 Device arrangement: A NEZ1414-2 or FLM1011-4 as the 1st stage, then FLM1011-4, 2xFLM1011-4 and anticipated Pout(1dB)=40dBm with Pin=19dBm with 1414-2 or Pin=17dBm when a FLM1011-4 is used as 1st stage. 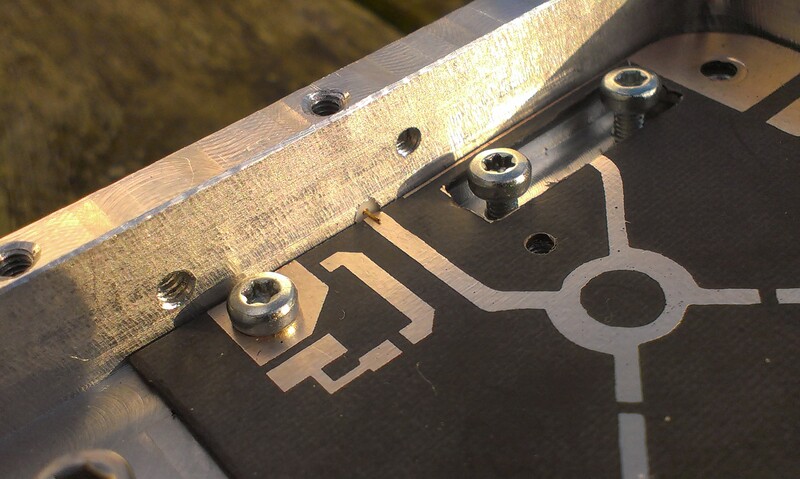 Aluminum casings for both versions were milled by my collegue Ronald on his DIY CNC machine. Many thanks, Ronald ! The depth of the cut-outs/pockets for the 2x 1011-8 FETS (13,1 x 23 x 2,55-0,5mm) are different from the 3x 1011-4 version (10,2 x 18 x 1,8-0,5mm) ! Dimensions of the casings 180x90x20mm. 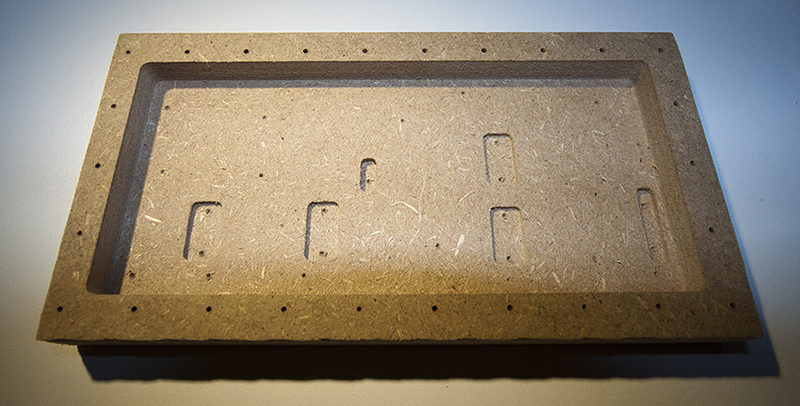 Prototype of casing in MDF. 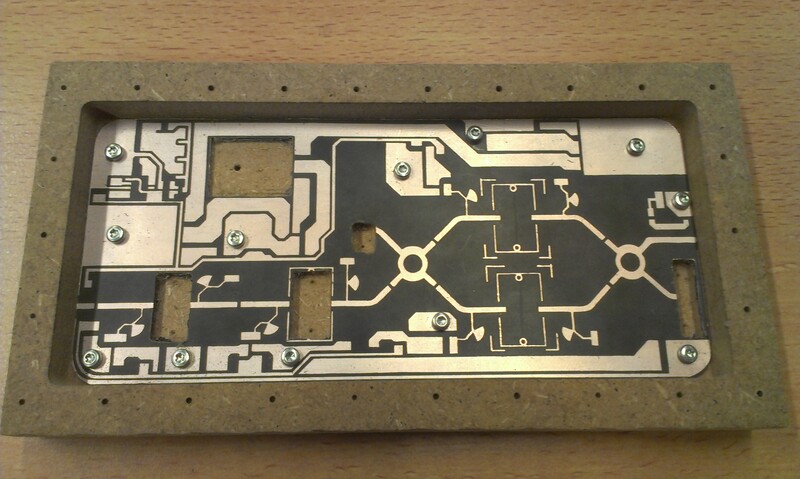 Inside milled casing, all screws fitted. 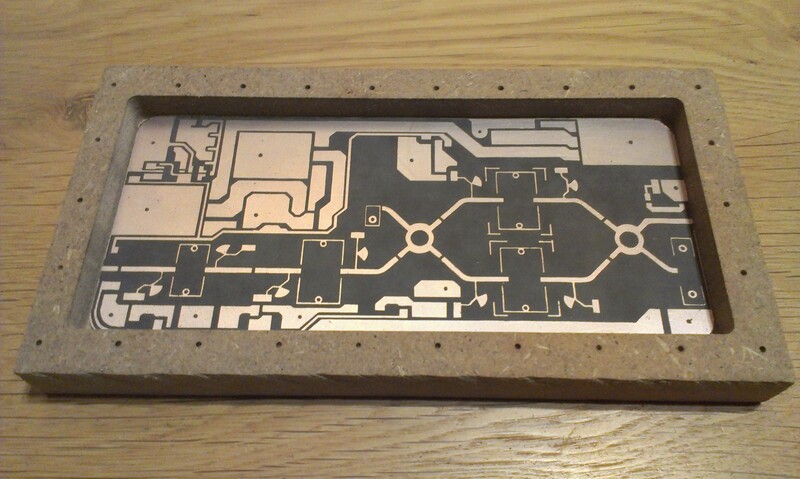 PCB fits perfectly in the alu case. 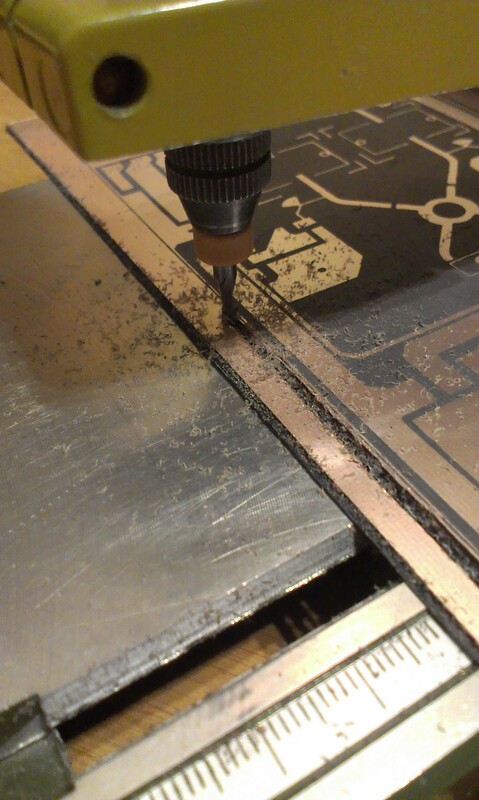 Output to very thin (0,2mm) precision SMA centre pin. Negative bias and DC switching circuit built in upper left corner of PCB. Note: An ICL7660 is unable to deliver enough bias current, so a LT1054 was used instead. Pin7 was lifted from the board and left unconnected, as the layout was designed for a MAX861. To facilitate PTT action (and shut down the PA when not transmittting), the input pad of the 78L05A was separated from the main supply. It will be connected to a 12V-active PTT line in the transverter system. 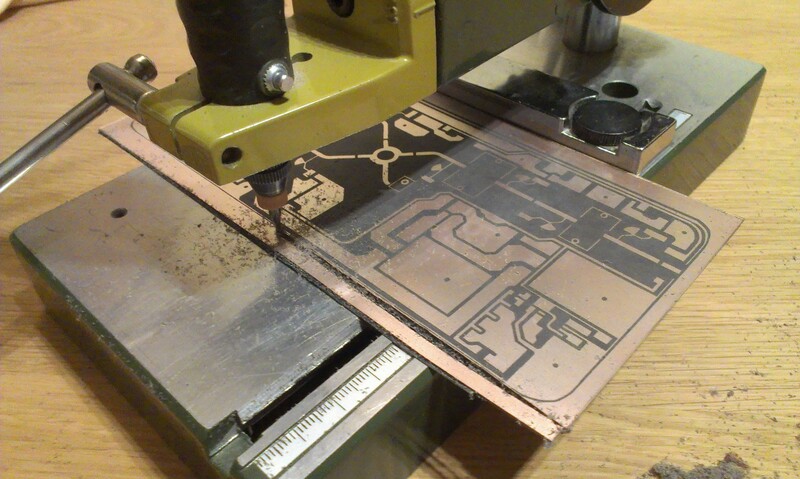 Update march 2014: I've built my amplifier and now I'm trying to align / flake for max output power. 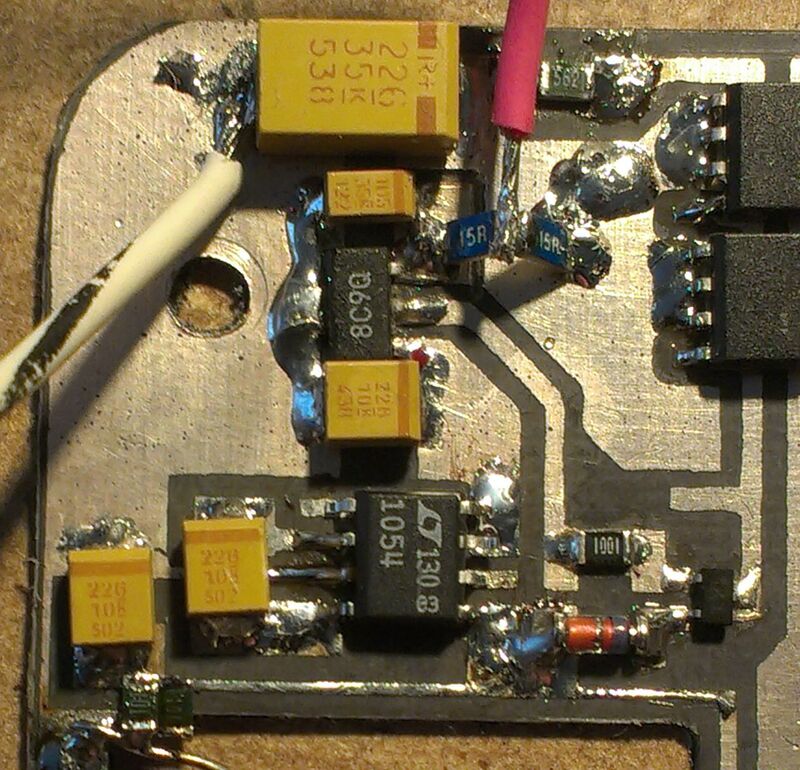 So far not very succesful, after many hours of flaking and one fried FLM1011 later, only 7W obtained with 100mW in. Very disappointing... :-( Still trying to figure out what is wrong. FETs biased at resp. 600mA, 1000mA, 1000mA, 1000mA. 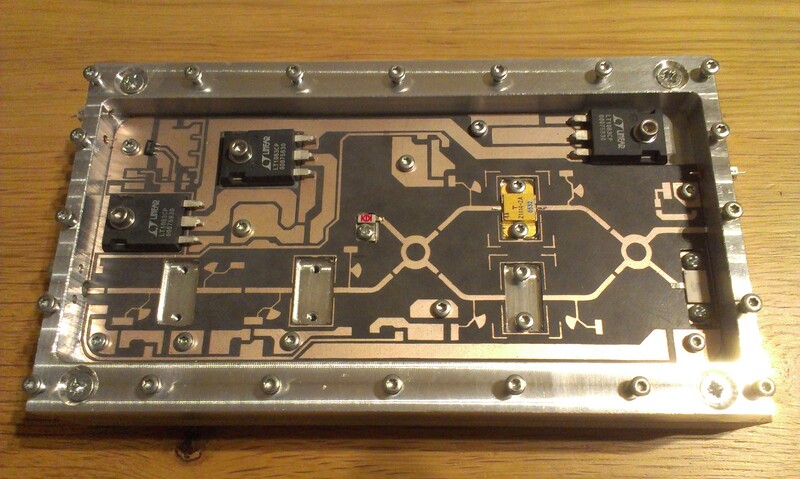 However, Bart PE1PFW has built and finished his version and he obtained 22W output easily with 150mW input. Excelics EPA018A-70 replaces the MGF1302 FETs in the output stages of my 10GHz transverter to increase output from +10dBm to +19dBm.